A potential driver, be it a car or motorcycle, has to pass the Highway Code. After passing the above, the candidate then moves on to the 6 Hour Theory course at institute’s premises. Only then the Learner Driver’s License (L.D.L.) or “L” can be issued by the J.P.J. The “L” license enable the potential student to take up practical driving. For B2 (motorcycle below 250 cc) a rider can ride on his own. However, a rider riding on his own should observe 2 requirements. 1) Affix “L” plates in front and at the back of his vehicle. 2) Must not ferry pillion riders. Whereas in the case of student who wish to take up practical driving lessons for cars, he or she should seek a driving instructor, either from a driving school entity or someone from a driving institute. The above instructor normally possess the S.M.2. (Sijil Mengajar 2) certificate to tutor potential students. Even though, all the above might have been explained over and over again various times in other articles elsewhere, nevertheless I feel it is no harm repeating it for readers who may have missed reading it. After attending the 5 Hour Kursus Pendidikan Pemandu (K.P.P) at the institute, how long should it be before one can appear for the computer test? 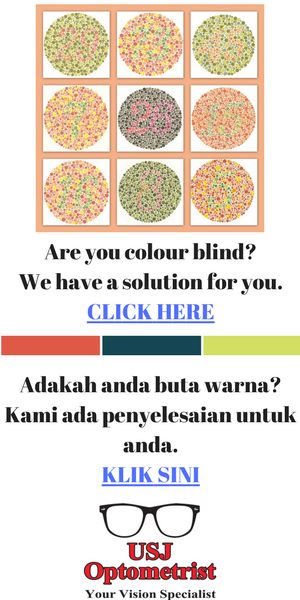 The above test is in Bahasa Malaysia and English. No other language are available. Those who wish to appear for oral tests, should wait for it to be arranged from time to time and also at selected places by the J.P.J. Ask you instructor to keep the lookout for the authorities announcement, normally via the institute. After attending the K.P.P. course, it’s you who decides when you choose to sit for the computer test. Some students require only 1 or 2 days preparation. Others might need a week. Others need a longer time. Actually, it depends on you. When you are ready and well prepared for it, inform the instructor. He will then do the enrollment for you to sit for the computer test at one of the private computer test sites around town. Normally, tests are conducted at the computer test centre, 7 days a week. Time for tests normally stretches from 8:30 am to 5:00 pm. At times, where there a lots of candidates, computer test centres open up to 8:00 pm. What do you have to do or bring when appearing for your computer test? You have to dress decently. Normally, male candidates should wear shoes and collared shirts. Bring along your MyKad and computer cards if you have one. Ladies are advised to dress decently. Avoid short skirts and other revealing attire. What does one do when arriving at the computer test centres? i) Check your name and sign your name at the registration list. ii) Give you MyKad to the clerks. 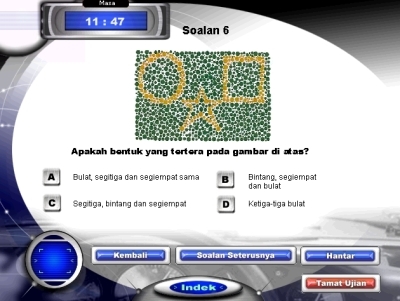 iii) Those who have never taken a computer photo need to pay RM10 for it. After that, you will have to wait for your turn to enter the computer room where the test is held. Normally, you will be given a number. Your test will follow the number given to you. Results of the test are issued immediately after you come out from the computer rooms. It’s normally the clerk in charge who will hand you the results. What happens if you should fail this test? Usually, your driving instructor would send you home. You would be advised to prepare and come another day. In fact, a student can actually re-register and sit for it the very day itself. For this, you have to liaise with your instructor. New charges will have to be made. As charges differ from instructor to instructor, so the best person you should discuss with, as I said, is the driving school instructor himself. Most students prefer to do a retest on the same day itself. However, remember, it does not necessarily mean you’ll get the result you aim for. As a final word of advice, 42 is the passing marks required for you to pass. A few lawyer friends of my elder brother were reputed to have failed this Highway Code exam a number of times. If i’m a Singaporean (w/o any driving license in Singapore), Is it possible for me to apply a malaysia or international driving license? Looking forward tohear your reply. As a Singaporean, you can attempt to get a Malaysian driving license here. Provided you have all the necessary qualifications. Do you have e-book in English language? There’s a paperback book call Driving Made Easy available in MPH Bookstore.